Earlier this week I posted about a collaboration between me and book binder Tyler Bender. 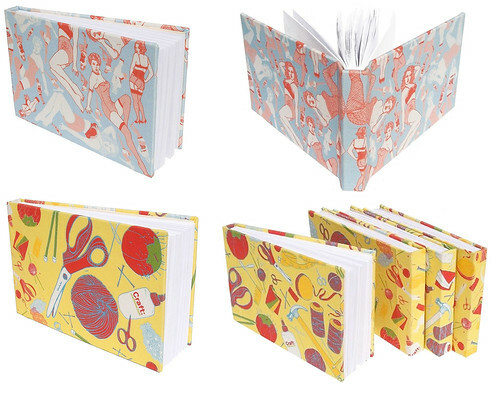 A limited supply of “Crafty” print hand-bound journals are available in his shop. He just added some more limited edition journals to his shop with my “starlet” print. So please take a peek. Thanks to Craft Magazine for letting their readers know about the journals. I hope you all have a beautiful weekend. Before I say goodbye I need to show you this fabulous rug that I’m smitten with via kitsune noir.